Frankfurt motor show has come and gone, but not without some surprise when this unimaginable Nissan Gripz Concept emerged from the blues to wow the audience. Looking more like a car that jumped straight out of a sci-fi moview than something you could envisage on the road (we may be wrong), the sheer visual impact of the car made many wonder if this really could make its way to production. Once more, rather than show you just renders (you can see these at the end of the gallery), we've gone with actual photographs from the show to start. The result pays homage to one of Nissan’s first ‘crossovers’ - the iconic Safari Rally-winning Nissan 240Z. In the 1970s these sports cars were re-engineered using expertise gathered from Nissan’s 4x4 range to cope with the demanding conditions of the Baja Peninsula, the open plains of Kenya, Uganda and present day Tanzania. These rally racers featured a raised ride height, toughened suspension and sported a matt-black finish for the bonnet and trunk set against a deep red-orange body colour. The Nissan 240Zs were proof that sports cars didn’t have to be low to the ground to be fun. 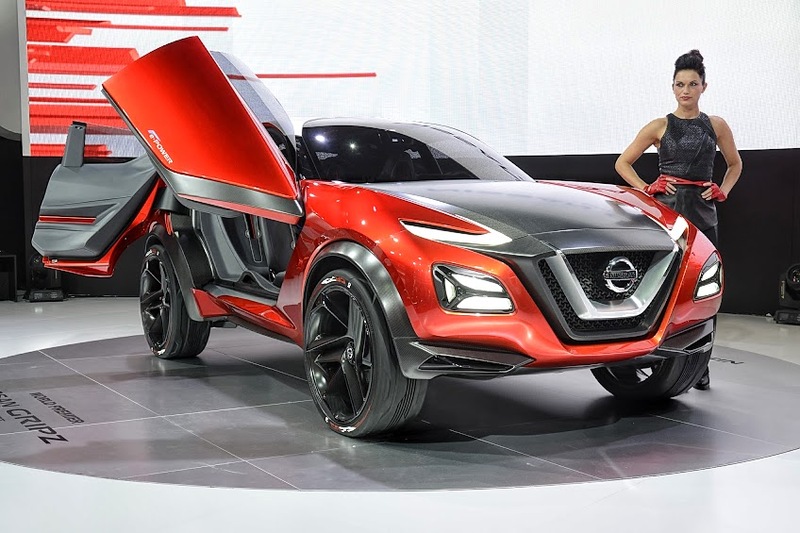 The Nissan Gripz Concept proves this again - incorporating Nissan’s expertise in crossovers, 4x4s, sports cars, and to bring it fully up to date for the new generation, electric powertrain prowess. The Nissan Gripz Concept is equipped with an EV technology based Series hybrid system ‘Pure Drive e-Power’. An efficient petrol engine is used to power the electric motor found in the Nissan LEAF.